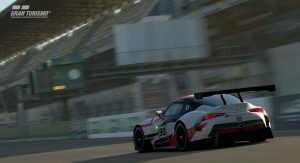 Only a lucky few got to check out the new Toyota GR Supra Racing Concept. 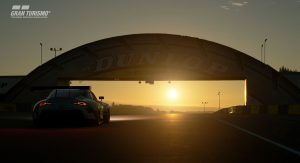 However, that’s about to change, because anyone with a PlayStation 4 and the Gran Turismo Sport video game can now experience the sports car study. 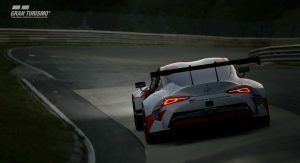 Launched with an in-game update on April 27, along with other vehicles, including some from Toyota, such as the 2000GT, TS050 hybrid electric Le Mans Racer and Supra A80, it was “meticulously modeled for the game”, the automaker says. 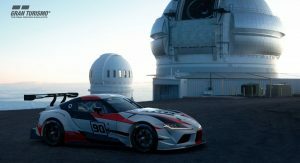 Unveiled at the 2018 Geneva Motor Show last month, the Toyota GR Supra Racing Concept provides a glimpse into the next generation model. It has a dramatic bodywork, highlighted by the mean-looking bumpers, wide fenders and giant wing sitting on the boot lid, and a stripped interior that’s focused on racing. 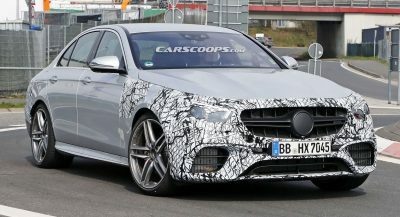 The final production version of the car, however, will be toned down, as revealed by the numerous prototypes spied testing. 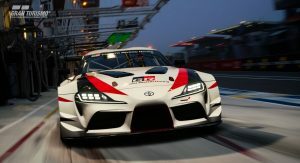 Co-developed alongside the new BMW Z4, the next-gen Toyota Supra will use a BMW-sourced engine. 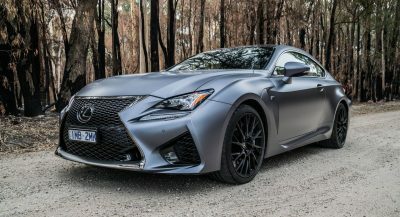 Details are still scarce, but we could be looking at a turbocharged inline-six unit, making in excess of 450hp, in addition to other powertrains. 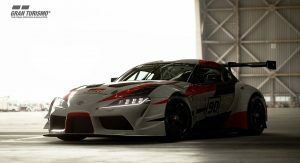 Magna Steyer will start assembling the new Toyota Supra in Graz, Austria, during the first half of next year. 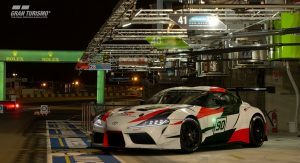 If I’m not mistaken in GT Sport, the car had 591hp, which is plentiful. 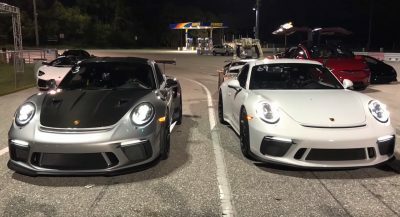 But again this is the racing version and the spec in game wasn’t necessarily the truth.